Our mission is to help people move more, feel better and live their BEST life wherever and whatever their goals are. Our comprehensive assessment includes body movement, functional and performance lifestyle and goals. Our professional approach extends beyond treatment with an emphasis on education and prevention. Unbroken Chiropractic is a combination of mobility, chiropractic adjustments and supportive treatments for athletes to continue becoming faster, better and stronger all while preventing injury and functioning better in their lives. Unbroken is located primarily in the downtown area inside of CrossFit Memorial Hill. You will find Dr. Heather and her table treating and taping patients at CrossFit competitions throughout Kansas City and the region. Her goal is to take care of athletes and educate them on the benefits of mobility and chiropractic care as part of keeping their bodies strong and injury free. Dr Heather also delivers lectures for Crossfitters and anyone looking to keep their body functioning at the highest level and free from pain and limitations. Dr. Heather earned her Chiropractic degree at Cleveland Chiropractic College in Overland Park graduating with a focus to open a practice on helping all levels of competitive athletes to average Jane just wanting to be in shape. With her emphasis as a Sports Physician she earned her Certified Chiropractic Sports Physician through the American Chiropractic Board of Sports Physicians. Dr. Heather believes every person should live UnBroken. An athlete her entire life, she played many sports growing up with a special love for fast pitch softball. As a young teenager her love of weight lifting/training began. She attended Presentation College to earn her degree in Exercise Science with a desire to become a personal trainer. While she was attending her post secondary education, Heather played fast pitch softball and volleyball, earning several conference and national honors. Through her experience, she learned first hand the importance of taking care of her body the right way. Heather grew up in tiny Duck Lake, Saskatchewan (pop. 400) one of 5 children and one of identical triplets. You will have to ask her which personality she was known for when you meet her! Dr. H has incredible stories of her loving family who are huge supporters of who and where she is today. Heather began her love of fitness as a teenager. She learned early on that her hard work paid off and she continues to use these principles in all aspects of her life today. With Dr. H's amazing smile, abundant energy and razor sharp focus on her patients, most people wouldn't know that she is truly an introvert at heart. She balances her life with an emphasis on R & R with her husband Sean and their three cats, Tito, Gracie and PeeWee. While small town at heart, Dr. H loves being a resident of "the BIG" Kansas City. She finds herself drawn to genuine genuine people, paleo pizza, a GREAT glass of wine, and a sunny vacation! Not necessarily in that order. Structurally lifts the skin and allows the flow of body fluids under the application area, reducing edema, inflammation, and discomfort. Purchase a 2" (16.4 feet) roll at which includes first taping. Commonly used with adjustments to speed up of the healing process from the increase in blood flow in the treated area,speeding up of the healing process from the increase in blood flow in the treated area. Electrical device that sends currents to target muscle pain, spasm, relaxation, pain prevention and muscle tone. Important for rehabilitative purposes and enhancement of the healing process..
TENS is a non-invasive, low-risk nerve stimulation intended to reduce pain, both acute and chronic. An ancient Chinese Therapy in which a cup is applied to the skin and the pressure in the cup is reduced in order to draw and hold skin and superficial muscles inside the cup. Warning: this usually leaves a significantly amount of painless bruising. Payment must be made at the time services are rendered. Unbroken Chiropractic accepts Cash, Check, and Credit Card. We also accept HSA and Flex Spending. Chiropractic care is a covered medical expense under many Flex Spending Plans. Additionally, some plans may reimburse you for the cost of Chiropractic Care. Please check with your Flex Plan administrator to make sure that your particular plan covers chiropractic treatments. These plans usually give you a credit card like expense card for these medical expenses. They require a copy of your superbill as verification of your service; just remind Dr. Heather that you need a copy for this reason. Many health insurance companies in Kansas and Missouri currently cover chiropractic care and such therapies. However, some companies cover varying levels of coverage. It is best to check with your health insurance company first in order to see if you have eligibility and coverage for our services. UNBROKEN, at this time, DOES NOT submit (or bill) claims to insurance companies. But if your insurance company will reimburse "OUT OF NETWORK PROVIDERS" (please check with your insurance company first), we will provide you the necessary legal documentation in order for you to obtain reimbursement from your health insurance company. We will always do our best to serve your needs. Please let us know this information as it will be assumed that you will not be submitting a claim to your insurance company otherwise. As a practitioner, I recommend products that I know benefit my patients. I try all of these products myself or have recommended them to other patients and practitioners. Feel free to browse my online shop! Day two of the competition. My team of four anxiously gathered to hear the broad announcement of the day’s events. "It didn’t matter that our posterior chains were completely smoked from the day before and it took nearly an hour to feel a semblance of “warm” before the 9 a.m. start. - the workout on the board was the workout we had to complete. I was at the top of my fifth deadlift in the second round when something in my back gave out. I collapsed as if I had just been shot. I couldn’t walk - let alone move from the couch - for four days after that. It took me four weeks to feel good enough to get back in the gym. I’d decided that would be the last crossfit competition I’d partake in. Then, upon speaking about my (seemingly) healed injury to a friend at my gym, she suggested I check out a chiropractor who came highly recommended - Dr. Heather Russell, owner of Unbroken Chiropractic. I had negative assumptions about chiropractors up until that point, but if intelligent, fellow athletes I respected and trusted the opinions of could rave about one, then I figured I should keep an open mind and check her out. Heather is a miracle worker. I learned very quickly that she’s unlike many chiropractors in two ways: 1) She truly cares about the health of her patients. Their pain is her pain, and she’s not satisfied until she’s gotten to the root of an issue, treated it, and.. 2) She takes special care to provide preventative measures her patients need to be following in addressing their injuries and avoiding repeating injury in the future. On February 20th of this year, I had a very different experience with one of these injuries. I walked out of the gym that day feeling terrible and immobile. I woke up the next morning and couldn’t sit down, put pants on, bend over, etc etc etc without excruciating pain. The inflammation in my back took a week to go down, after which I had strategically and knowingly booked an appointment with Heather. Instead of feeling instantly better, like my past visits, I felt only slightly better. Not a good sign from my body. I continued to see Heather twice a week for the next two weeks. She worked diligently with me to determine the source of my agony, seeing as the inflammation in my back had gone away, but the pain hadn’t. I was in *constant* pain. Sitting too long, standing too long, getting in and out of the car… I dreaded simple, everyday movements. The only time I didn’t feel pain was when I was laying flat in bed. On my second visit, Heather determined that my hip had severe restriction and tightness, which didn’t allow her to adjust my sacrum. I mobilized furiously and attentively until my third visit. During my third visit, I had a bit more mobility in my hip, but not much. “Oh my god” Heather gasped, as I was laying on my back on her table. “What? What is it! ?” I anxiously breathed. First of all, I didn’t know that was even possible. Second of all, HOW DOES THAT HAPPEN?! As soon as Heather adjusted my pubic bone, my hip “melted,” as she put it, and the restriction I had there that didn’t allow her to adjust my sacrum was gone. Heather had untangled me like a Rubik’s Cube. I’ve had three more sessions with Heather since then, each continually working towards straightening me out and addressing my imbalances. Heather has identified my asymmetrical movement patterns and the muscle imbalances that have built up (likely over the course of years) as a result. My focus, now, is relearning how to move (properly). I was out of the gym for six whole weeks. SIX WEEKS. I underestimated the severity of my injury and it certainly tested the resiliency of my attitude. I haven’t taken that much time off from the gym or sports… ever. I had to freeze my crossfit membership. Instead of moping and feeling sorry for myself… I chose to rise. I’ve taken up hot yoga on my active recovery days. I have joined a “regular” gym, in which I can tailor my workouts to my needs and ability level at the moment. Bonus: it has mirrors. So I check myself to be sure I’m moving properly. I’d be lying if I said the past two months have been a “hard journey.” I’ve certainly faced things in life that have been far more adverse and trying. Actually, I didn’t even think of this situation as more than an inconvenience until a close friend complimented my attitude and outlook on it all. I was too busy focused on the things I’ve needed to do to succeed in getting healthy and moving on with my life. Of course, that focus would not have been possible without the support and encouragement of the people who’ve helped and continue to help on this adventure - namely, Dr. Heather Russell. Cheers to you, Heather! I know my story is only one of so many that sing your praises. You deserve every single kind word and expression of gratitude that comes your way." "I put off going to see Dr. Heather, because I had been seeing a "good" chiropractor. But I never felt it was worth all of the hype. I finally did it, because she is the friendliest person you will ever meet, and I like to support my ...MoreI put off going to see Dr. Heather, because I had been seeing a "good" chiropractor. But I never felt it was worth all of the hype. I finally did it, because she is the friendliest person you will ever meet, and I like to support my friends. But let me tell you, after that first visit, and third and fourth, and so on; I left feeling physically great, but also educated. Why does this position feel uncomfortable, and how can I help myself feel better here, how can I improve my Squat? I never feel shamed or bad about my lack of mobility, but instead I feel empowered and strengthened by her excitement to help, and educate. She takes the time to make sure you feel improvement, and gives you things to work on so you can continue feeling that in between visits. She really is the best. 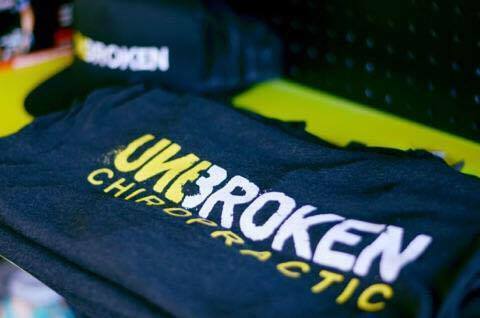 I highly recommend Unbroken Chiropractic!" "Being someone who has used chiropractic care as a means of staying healthy, I have never been to someone so thorough and genuine! Dr. Heather treats all your ailments but also listens to your personal goals and individual needs. I am currently in Dental school and she has helped keep my posture great and my hands, elbows and shoulders all in check from straining from pulling pesky teeth. If you are looking for someone who will change your life for the better she is the right person!" "I feel like a new me after each appointment. Heather explains everything before she does it and makes sure I am doing fine with each procedure. I don't evenlive in the area but when I come to visit several times a year, I make sure one of my stops is to Unbroken Chiropractic. Great service." "Five stars are not enough to describe how amazing Dr. Heather is. She is holistically minded and focuses on getting you feeling better instead of putting you on a "program" that you don't really need. She is amazing at what she does and truly cares for her patients wellbeing. I can't recommend her highly enough." "Dr. Heather has been so helpful in my fitness journey. She not only works out the tightness and pains in my body but she truly helps me work through how to make changes to my workouts to prevent recurrence"
"Literally the best in the business! Dr. Heather Bourdon is an amazing chiropractor and lovely human being. If you want to feel better, perform better, or have yet to find the answer to your pain. She is your savior!" ROB J- Shipping Manager at Aeromotive Inc.
"I've been to my share of chiropractors over the years, but Heather is the only Doctor that I feel can actually feel what is going on with my body. She can tell when something is out of place or is too tight, and then can fix it!! It's ...More I've been to my share of chiropractors over the years, but Heather is the only Doctor that I feel can actually feel what is going on with my body. She can tell when something is out of place or is too tight, and then can fix it!! It's amazing the things she can feel that I didn't even know existed. And she makes sure, every time, that I feel good before I leave. Totally the best!!" "Dr. Heather is amazing! Not only do you feel great after the appointment, but she also takes the time to educate you on why you're hurting and teaches you exercises and stretches that will help improve/ solve the problem. She is a great chiropractor and also the sweetest person you'll ever meet!" Dr. Heather not only treats, she educates. She helps me to understand my body and how to correct and prevent future pain and injury. She's a miracle worker. "Over the years, I've seen approximately 10 different chiropractors. Although some of them were fantastic, I consider Heather to be the best. She not only truly listens to you, but she's determined to have you leave her clinic pain-free after every visit, which is truly remarkable (and was often a challenge given the issues that I presented to her). For my particular injuries, Heather also empowered me with the knowledge of how to take care of myself in-between visits and how to treat and prevent any future pain. She also has an amazing understanding of human movement as it pertains to sports and weightlifting, which I found helpful for me as well as other athletes I've referred to Heather. Given all of this, Heather is a chiropractor in a league of her own, and I truly believe you will not find a better one in Kansas City." The immediate improvement from that first session was two fold. First, the pain was addressed appropriately and alleviated much quicker than what I’ve been used to. The second benefit was her focus on restoring proper range of motion to areas that had been limited. More specifically she helped those ROM’s that were impeding my performance as pertaining to Crossfit. The two main positions addressed were the “front rack” and “bottom of squat”. After my first adjustment I was able to achieve a proper front rack (which had been my unicorn of sorts) along with a deeper more natural squat position. She then prescribed maintenance exercises and movements that would help keep me out of her office, which was a first in my experience. "I have been receiving chiropractic care for 3 years and I am a firm believer in its claim of total body wellness. During that time Isaw 4 or 5 different chiropractors and received very good care. However, it wasn’t until I saw Dr. Heather that I truly knew what good care really looked like. I initially made an appointment to see Dr. Heather for her to check out my knee I had injured playing Australian Rules Football the previous September. I had heard of a practice called grastoning and wanted to see if it would help heal my knee. She was honest with me and said that grastoning might not be the best option for the knee. Instead, she spent 90 minutes with me, adjusting my knees, ankles, hips and feet and tried to find the root of the problem. And find it she did. After that initial visit, I knew Dr. Heather would be taking care of my chiropractic needs for a long time. Since starting my workouts at Sky’s Limit Crossfit, I have had soreness and sometimes pain in numerous places. Because Dr. Heather is a regular participant of Crossfit, she understands the complex movements associated with our sport. At the beginning of every visit, she takes the time to find out what specific movements are troublesome to you and then works on you until the pain is gone. I leave after each visit feeling better than when I walked in. I also feel better longer because of the quality of adjustment she is able to make. Dr. Heather is very knowledgeable and passionate about her craft. She listens to me and desires to make me healthier so that I can perform at my highest level. I am thrilled to be seeing her for chiropractic care and to learn how to make my body healthier and perform greater. Through her, just like the Sky’s Limit motto, I am Better Than Yesterday." "My journey that ended up with me seeing Dr. Bourdon was a fairly long one that started with 13 years of college and mens rugby. At the end of my rugby career I was practically crippled with pain from tendonitis and calcification in both of my Achilles. I was taking enough pharmaceuticals to enable myself to play on Saturday and was barely able to walk for the next week while my body attempted to repair the damage. Finally, I had had enough of living with pain and went to see my general practitioner who referred me to a podiatrist. Xrays were taken, her diagnosis was as above and her treatment was to go in and surgically remove the damaged parts of tendon. Needless to say I beat feet out of that office and sought a second opinion. A friend of mine had recently had knee reconstruction with an orthopedic surgeon specializing in sports medicine (he works for the chiefs) and highly recommended him. His opinion was to get some physical therapy and see how the pain/movement progressed. The physical therapy did help and my pain and range of motion did get considerably better but it never completely went away. One of the therapists mentioned a treatment (Graston) that she had seen once that had helped with symptoms similar to mine, unfortunately the didn't have anyone in that office qualified in the specialty. By chance I happened to see a guy at the gym with a god awful bruise on his shoulder and when I asked him about it he mentioned the technique and recommended Dr. Bourdon. I booked an appointment and several weeks later saw her for the first time. The technique definitely isn't for the faint of heart and the most delicate way to explain it is that it turns a chronic injury back into an acute one to activate the healing process. It wasn't an easy road and I have had my setbacks but if when I first began seeking treatment for this affliction you had told me that I would be jumping, jogging and walking without hindrance I would have laughed in your face. I have since had several issues crop up in my normal course of daily living and working out and Dr. Bourdon has been able to easily diagnose and treat them with a varying array of disciplines. She is a caring, helpful patient advocate who is knowledgeable and humble enough to know when she doesn't have the answer. I am proud to say that I am a patient and friend of hers and refer anyone I can find needing attention. It also helps that she’s a stone cold fox! (sorry big scene - Dr. Heather's husband)"